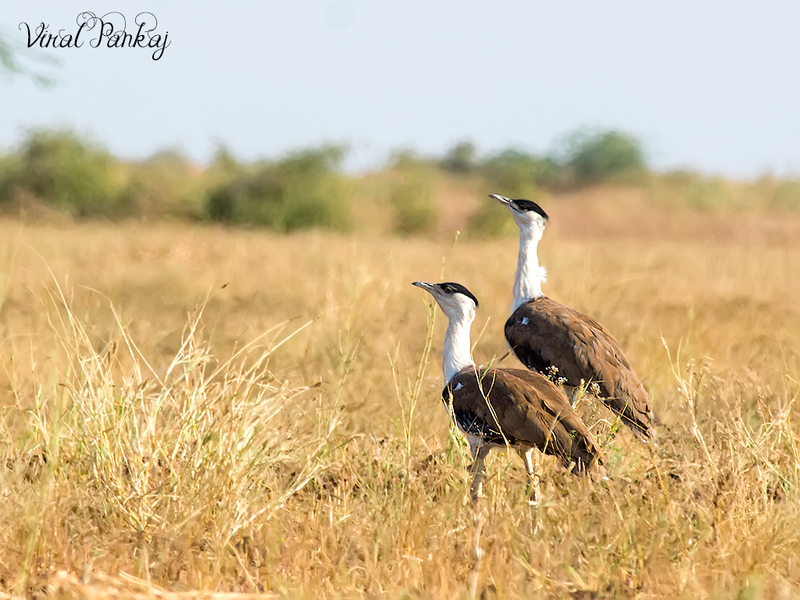 Great Indian Bustards among the heaviest of the flying birds. Once common on the dry plains of the Indian subcontinent, as few as 250 individuals were estimated in 2011 to survive and the species is critically endangered by hunting and loss of its habitat, which consists of large expanses of dry grassland and scrub. These birds are often found associated in the same habitat as blackbuck.